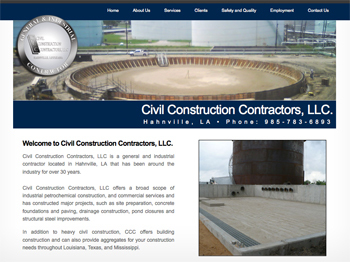 We recently completed accident and injury free shutdown work for Occidental Chemical in Taft, LA. The shutdown work involved 6 CCC crews working 2-12 hour shifts. With a very satisfied client, we look forward to additional opportunities of this nature in the near future. The strength of Civil Construction lies in our loyal, dedicated, and committed employees. Submit your resume or download & print our employment application to apply for a position with our company. Bring it into our office, mail it, or fax it to 985-783-6894 to Mr. Tom Harmon, our Human Resources Manager. Alternatively, you may submit your resume or application via email to harmont@civil-construction.com or by using the form on the employment page.